After still feeling the high the next day from Nth Power’s three plus hour gig, I couldn’t help but smile reminiscing about Spinal Tap. They went to 11…well, the appropriately named Nth Power goes past that live. 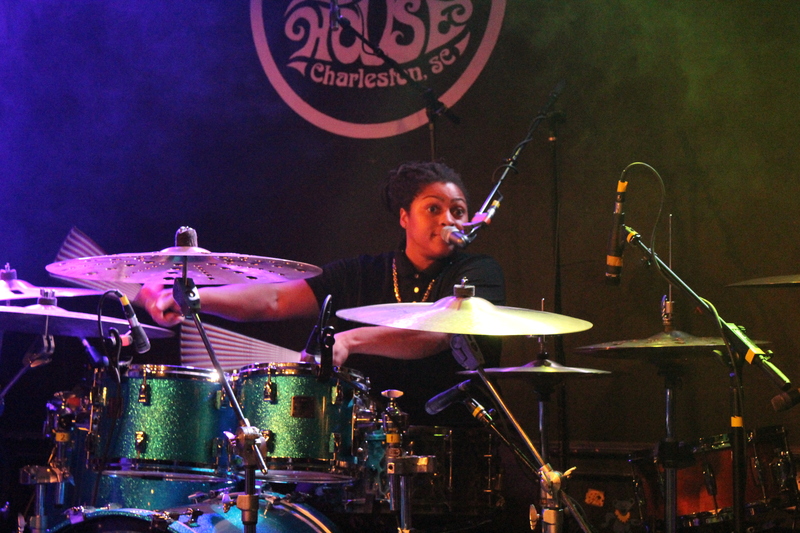 I had the fortune of interviewing Nth Power drummer, Nikki Glaspie, when they were playing in Charleston, SC, this past January. I was unfortunately out of town for their show but was hopeful I’d get the chance to see them again. That chance came to fruition this past Wednesday, October 25, 2017, at the Charleston Pour House. As an added bonus, they were playing a second set dedicated to Bob Marley’s music. It’s a straight up challenge to verbally explain what a band that has mastered jazz, funk, and rock feels like live. From a bird’s eye view, their songs typically go on eight minutes playing hot potato among the three of them for solos while the beat never stops. It’s literally impossible not to dance on some level as the sweat is flying from Cassarino’s incredible guitar shredding and Glaspie’s hair flipping, sing-along drum pounding. I love shows when it’s hard to tell who is having more fun…the musicians or the crowd. Edgar, content with hanging to the side, delivered the nth power bass that back boned so many of the songs that Cassarino and Glaspie shined on.